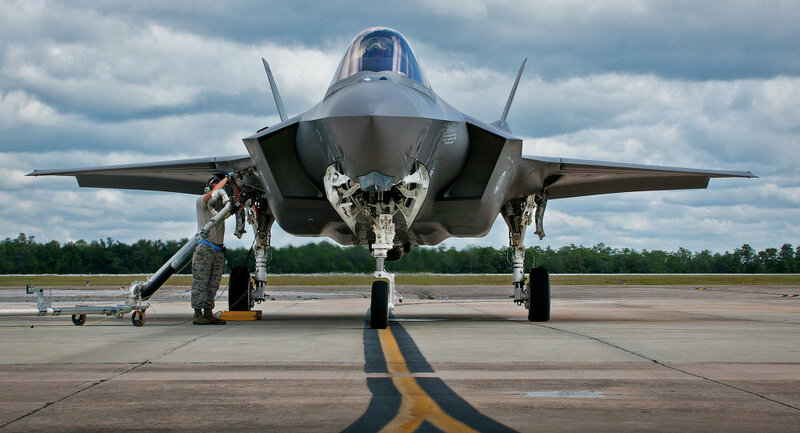 “We got real lucky that night,” a US colonel said regarding a joint strike fighter pilot’s ability to overcome a display malfunction while trying to land a fifth-generation F-35 in the dark. New footage shows what F-35 pilots experience while landing in the dark. The pilot’s helmet-mounted display, which normally offers the pilot a clear view of where he’s landing, appears to have failed. Additionally, low-light conditions led to poor visibility, which could not have made the feat any easier. "He’s looking out trying to establish where he is,” Lt. Col. D. Tom Fields said at a Flight Test Safety conference in Arlington, Virginia in May. In the footage, the pilot continues looking to his right to avoid hitting the carrier’s control tower. “I think [the pilot’s] words after that were something along the lines of ‘Control, you’re going to have to give me a compelling reason to do that again,’” Fields said. Here is an example of an F-35 pilot’s view when the helmet’s light adjusters are working properly and the pilot has a good image of where he’s landing. The footage features a vertical-lift F-35B landing on the USS America in November 2016, according to conference materials published by The Drive on Monday.